Hillary Chybinski: happy birthday to you. . .
. . .today is John's birthday. 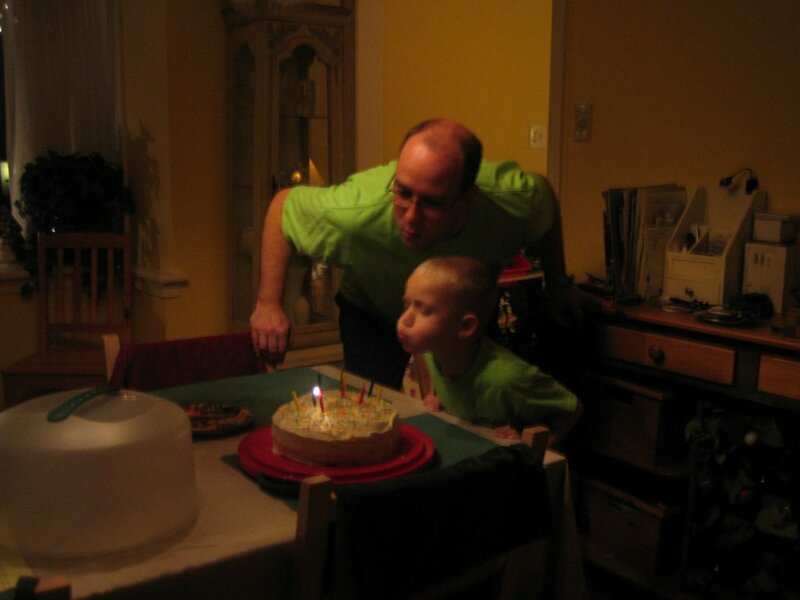 ryan helped me plan a little surprise family birthday party. he let plenty of hints slip! we had a nice night - all together - my favortie way to spend time. ryan was so excited about the gifts we got for john, he couldn't wait to open them. he signed and sealed his own card - before i could see it. . . it looks great - he's coming along with writing his name. ryan and i baked a cake - red velvet, john's favorite. ryan got to help blow out the candles too. so happy birthday to my wonderful husband. a generous, kind and loving man. i cannot imagine my life without him, and give thanks everyday for the crazy ski trip that brought us together.